The Presidency of the Parliament, on Thursday, that the budget of 2019 included the addition of large allocations to complete the large projects stalled for years in Baghdad. The media office of the member of the Presidency of the Parliament, Hassan al-Kaabi, in a statement received "economy News" a copy of it, "Al-Kaabi chaired the second deliberative meeting at the headquarters of the Secretariat of Baghdad, to discuss the most important service problems suffered by the capital, and the possibility of finding solutions to them as soon as possible" . 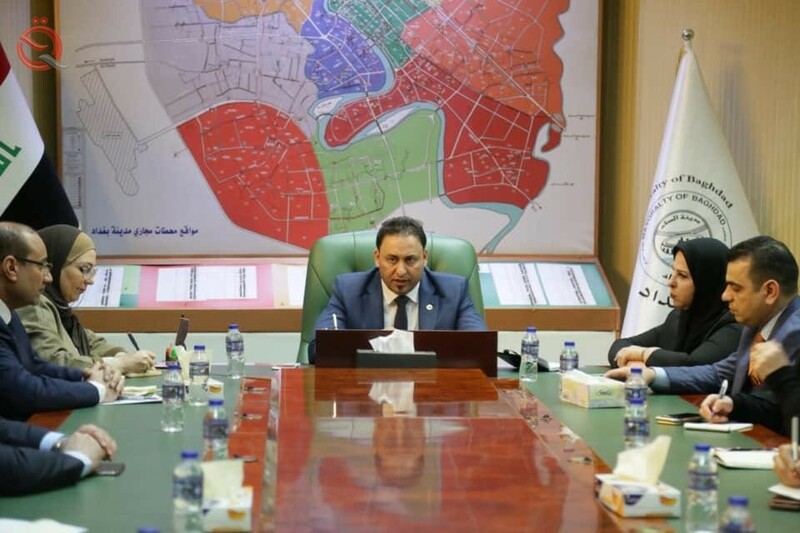 The statement added that "the meeting was attended by a number of deputies from the Baghdad bloc of deputies, and the memory of Allouche, the capital of Baghdad, and Deputy Municipal Affairs Karim al-Bekhati and general managers of the Secretariat." He added that "the meeting discussed a number of issues related to the budget of the Secretariat of the capital and the problems plaguing the capital Baghdad, especially the service, including municipal services, water and sewerage networks, road maintenance and rehabilitation of areas that have recently lifted the concrete barriers there, as well as a severe shortage of mechanisms reflected Negatively on the service reality. " During the meeting, al-Kaabi stressed that "Baghdad should be given greater attention as it is the political and commercial capital of Iraq, not to mention its historical and cultural importance, and here it must appear worthy of its name." He pointed out that "the coming period will witness the convening of conferences and the presence of large Arab and international delegations in a manner that requires preparation for more services," stressing that "the budget of 2019 included the addition of large allocations intended to complete the large projects that were initiated during the past years and stopped because of the cessation of privatization, And its implementation will be reflected positively on the provision of better service for the Baghdadi, especially reducing the severe traffic congestion witnessed by the entrances of the capital and its internal roads. On the other hand, Aloush reviewed the plans of its service and municipal departments and directed the Secretariat to manage the waste sector, the problems of slums and construction in the agricultural lands and its coverage of the services, and provided a detailed explanation on the preparations of its departments for the drainage of rainwater and the ongoing preparations in this regard.